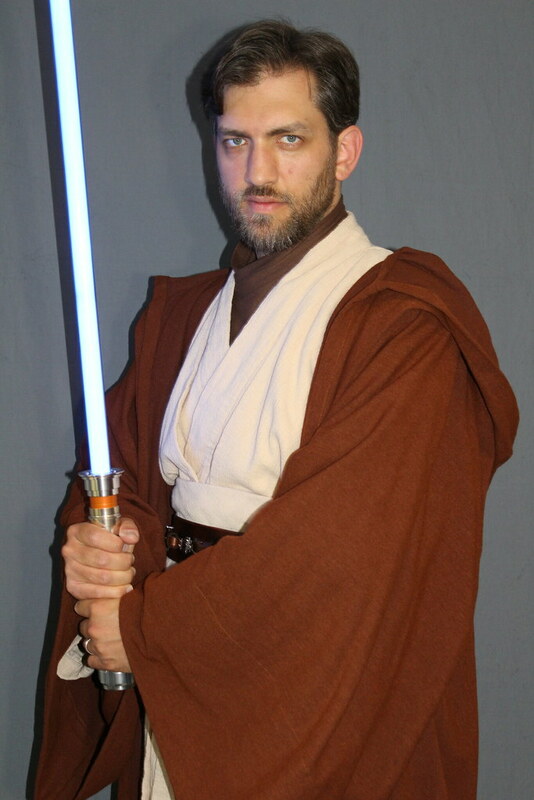 I've been making Prequel Era Jedi costumes (and costumes in general) for nearly 20 years and it's been a dream of mine to create a screen accurate Jedi costume. 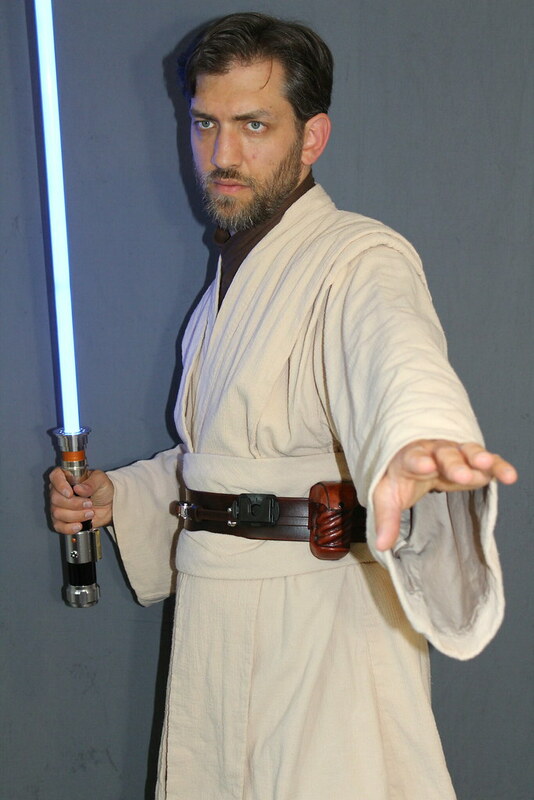 After nearly ten years I have finally achieved my goal with Obi-Wan's costume from Episode 3. I've done between seven to eight different versions of this ensemble and I finally got it right! While I'm not a fan of the Prequels I do love the production design and the costumes are a huge part of that. 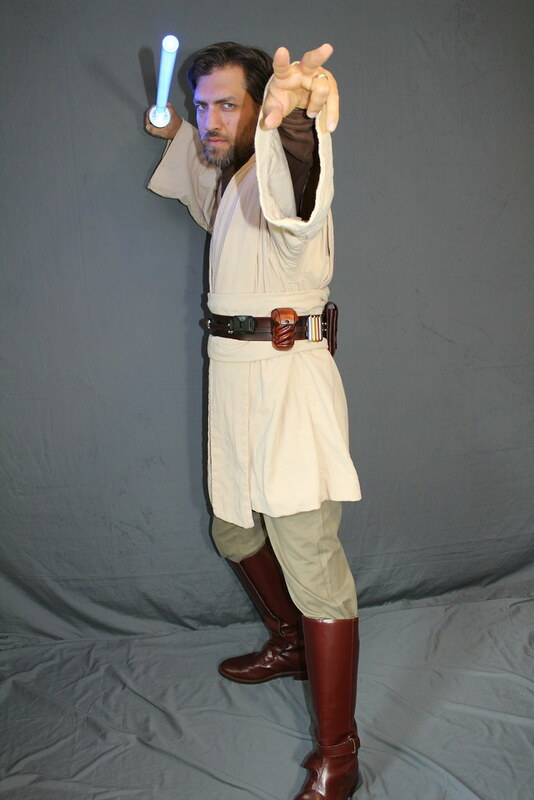 This particular ensemble took several months of work to assemble, meticulously sourcing as accurate materials as I could find and exhaustively perfecting my patterns to get the correct fit and look of the screen used costume worn by Ewan McGregor. 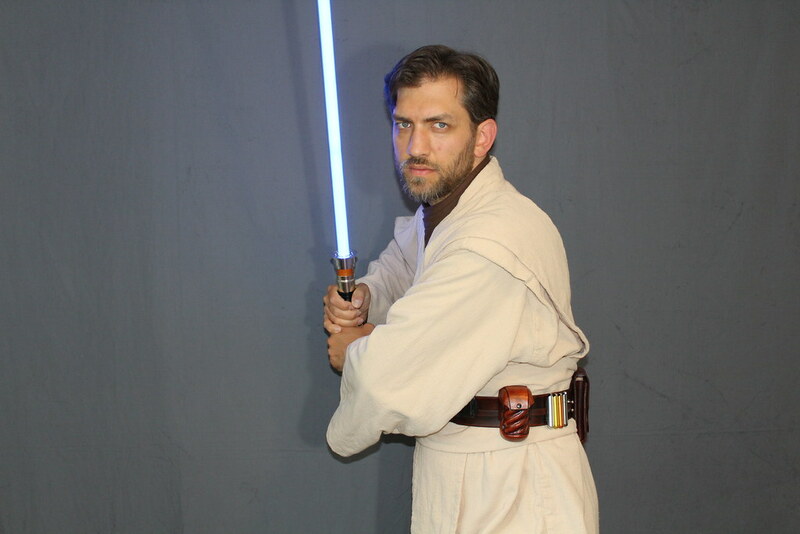 Here is part one of a video tour of my personal Obi-Wan Revenge of the Sith Costume. I crafted nearly every piece of this costume myself. Anyway I hope you all enjoy! I have one last video detailing this ensemble. I will link it once I finish editing it and upload it to YouTube. Thanks to my wife for the great photos she took! 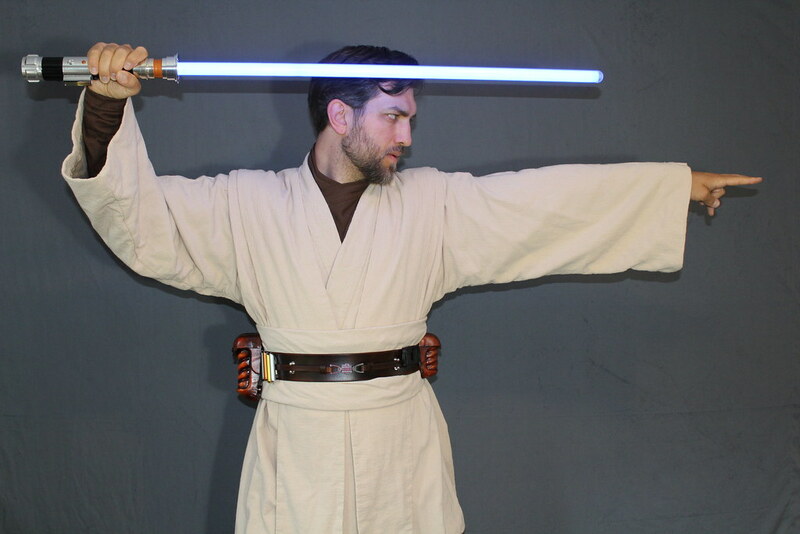 Here is the third and final installment of my Obi-Wan ROTS Costume review. I hope you all enjoy it. Please keep in mind that I am still brand new to filming/ lighting and have only been using the video editing software for a few weeks. Thanks for watching/ following! The pictures here dont capture the texture of the Gauze like I saw in the videos. This looks superb and really pushes me to believe that I can do this very same outfit myself for my Ep3OWK. 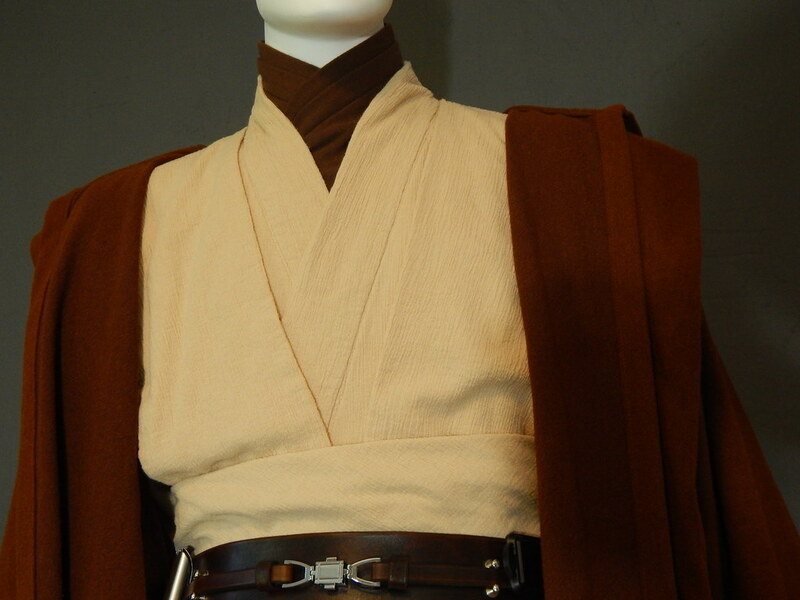 Could you possibly elaborate more on the obi as far as getting the "scrunchy" look and its closure in the rear? I know you mentioned that the top of the tabbards are sewn to the outer tunic at the shoulders, but are the bottoms sewn to the tunic as well? I'm glad you enjoyed the video. Sadly the texture of the crinkled cotton gauze gets washed out in bright lights. 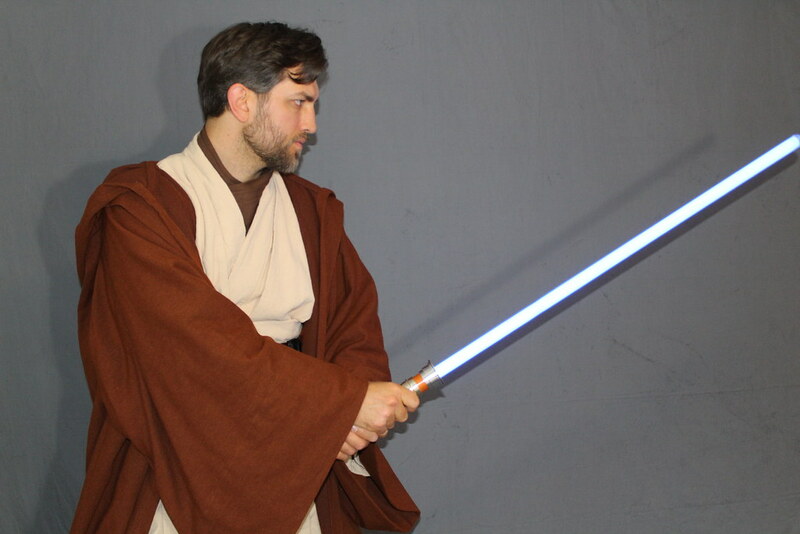 The obi is four different pieces of fabric sandwiched together. Two pieces of gauze and two pieces of muslin (the entire tunic was lined with muslin to give it some body and make it easier to sew.) The fabric is cut on the bias and the crinkles run diagonally, plus the front of the obi is wider than the back. For mine I measured the front at 10 inches wide and the back at 8 inches. When sewn together it creates natural creases which I sewed in place and this is the technique they used on the real costume as well. While the screen used tunic had hook and eye closures to secure the obi in place, I opted for hidden velcro for ease of use. So the lower half of the tunic is cut separately of the upper half? I was going to use the simplicity 5840 patterns. For my pattern, yes. This was the case for the screen used costume as well. The upper body (from the shoulder to the navel) is one section and the "skirt" portion goes from the navel to mid thigh. You could theoretically have the Tunic body made of one piece, but the screen used costume wasn't made that way. 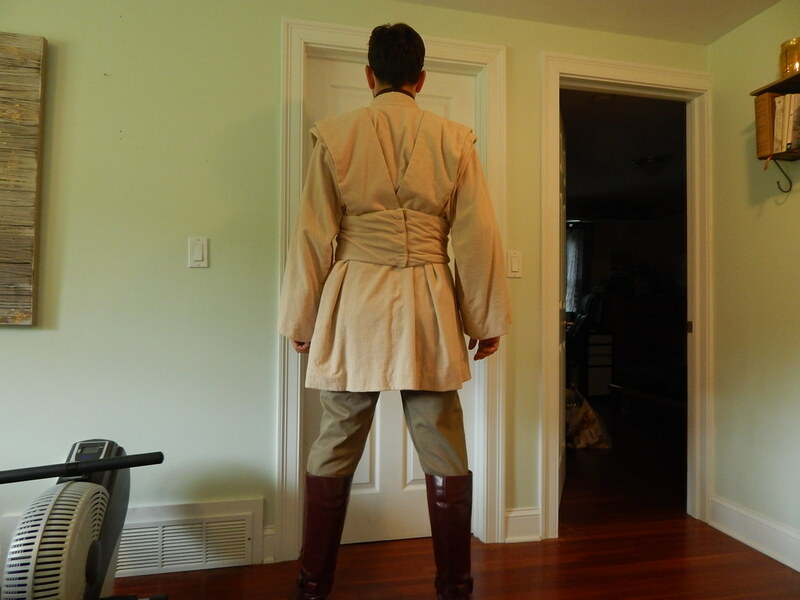 Plus I find that because the tabards don't extend below the waist in the back like they do on say Qui-Gon's costume, then you can sew the ends of the tabards between the upper body and the skirt layer so they always stay in place. In some versions I've done of this ensemble I've even sewn the tunic shut and the tabards are permanently tacked in place so instead of fussing with getting them to lie just right every time you put it on, you just pull the whole tunic over your head and adjust slightly and it's done. 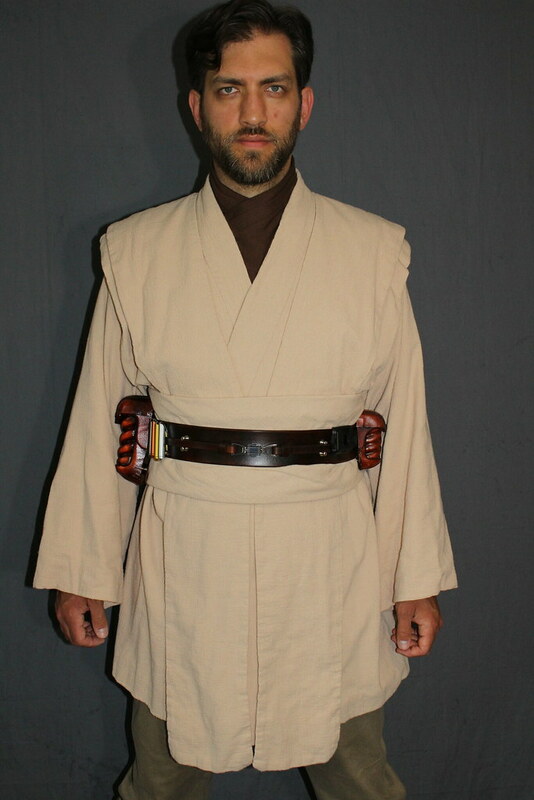 Then all you have to do is put the obi on your waist and you're set to go. 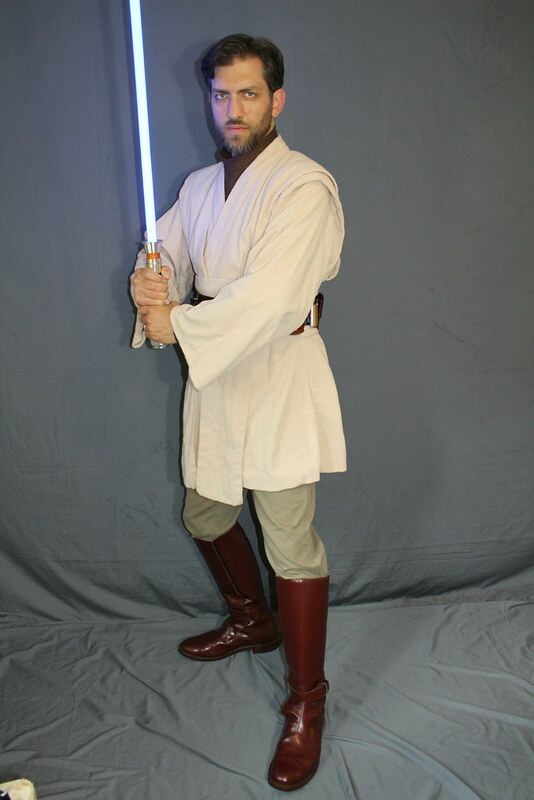 Just an FYI this is the 7th or 8th version of this costume I've done and the entire thing is for sale, Saber and boots included. 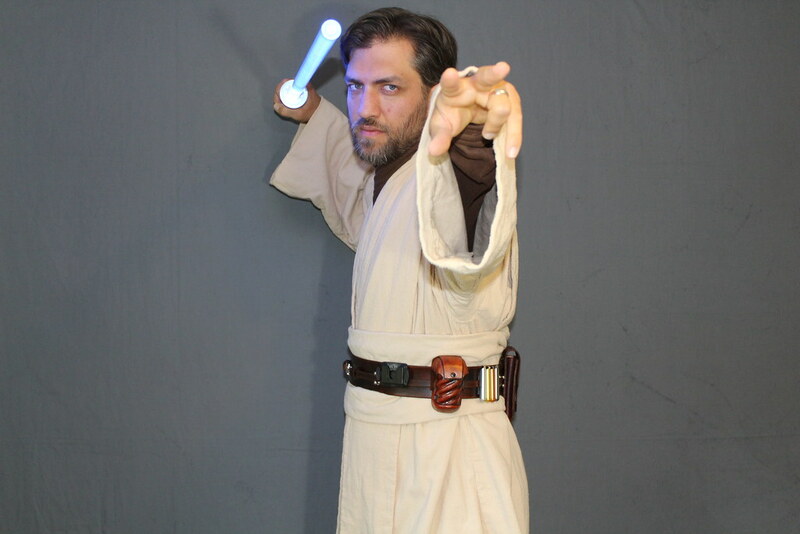 Complete Obi-Wan ROTS costume in one fell swoop. $1800.00 plus actual shipping costs. Even at this price I'm still not even charging enough for my time. I just want to address this because I know a lot of people are going to question my pricing. I should be charging much more but I want to make this affordable so I cut it down. For the moment I'm really looking to keep it as a full ensemble but if the interest is there and I can clear it faster I'll consider parting it out, though I will say that I will only part it out in sections if I go that route if only to not be stuck with individual pieces I can't use. Nice! 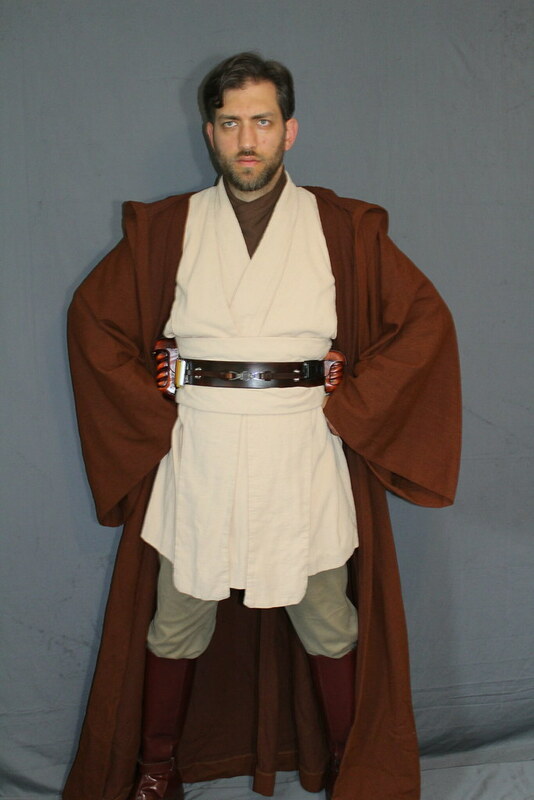 Where did you find that twill fabric for the robe? I got it at Denver fabrics and it's 100 % wool. Though it was the wrong color so I had to custom dye it the right color which was a LOT of work. Would that entice people to buy this? I'm looking to clear this ASAP and could use the feedback. Robe is the last piece I need. 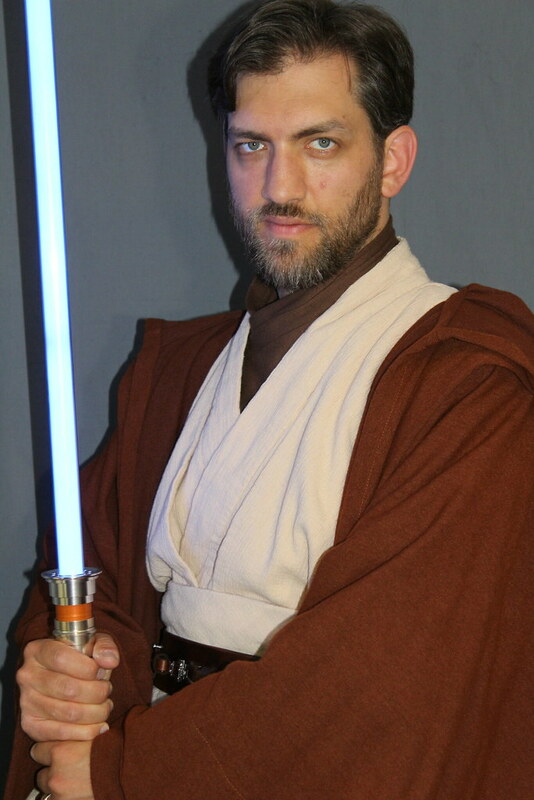 I am using my old robe right now but need a quality robe like yours to complete my Obi-Wan outfit. Remember, The Force Will Be With You... Always. what colour dye/s did you use for the outer tunic? 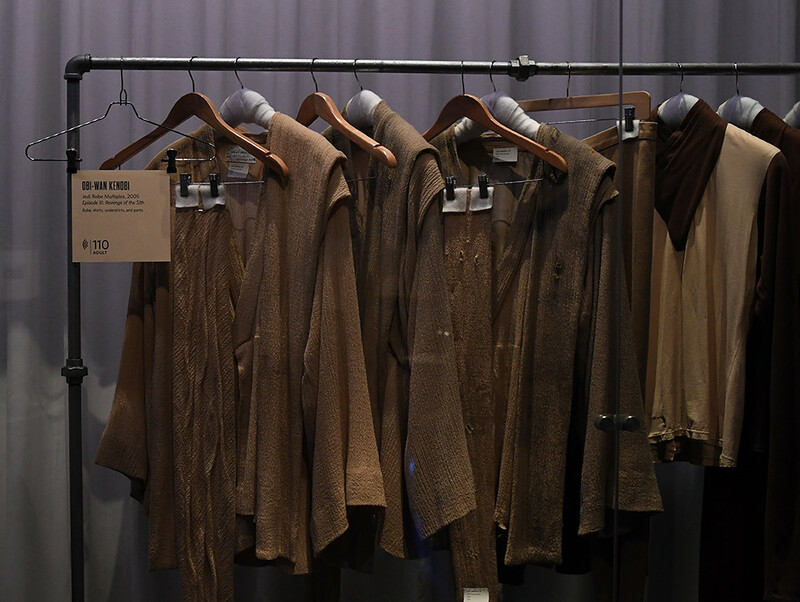 The Outer Tunic was not dyed. This was champagne cotton crinkle gauze. The only part of the costume that had to be dyed was the Robe Fabric. It was a beige/ cream color 100% wool originally and I used 1 Dark Brown and 5-6 Cocoa Brown RIT brand dyes to get it to that reddish brown color you see here. This has been parted out and each piece is available for sale on ebay. 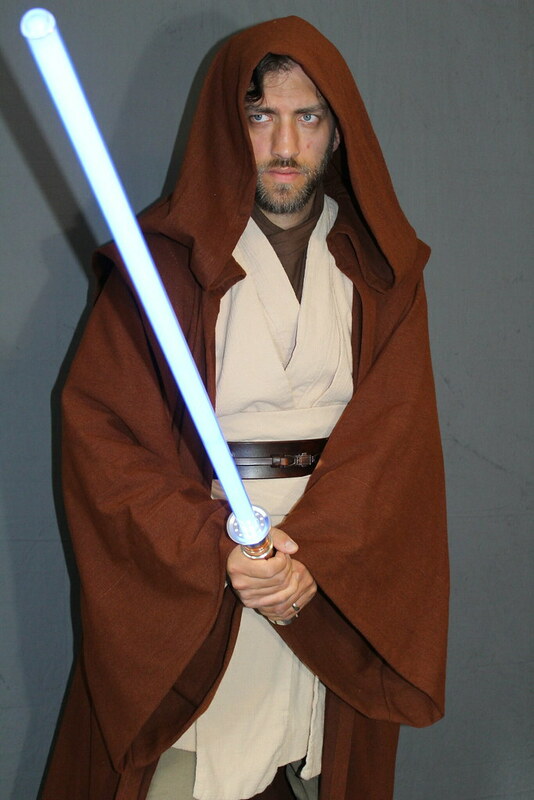 The Robe and the Lightsaber are sold. For those interested the remaining pieces are still available on ebay! 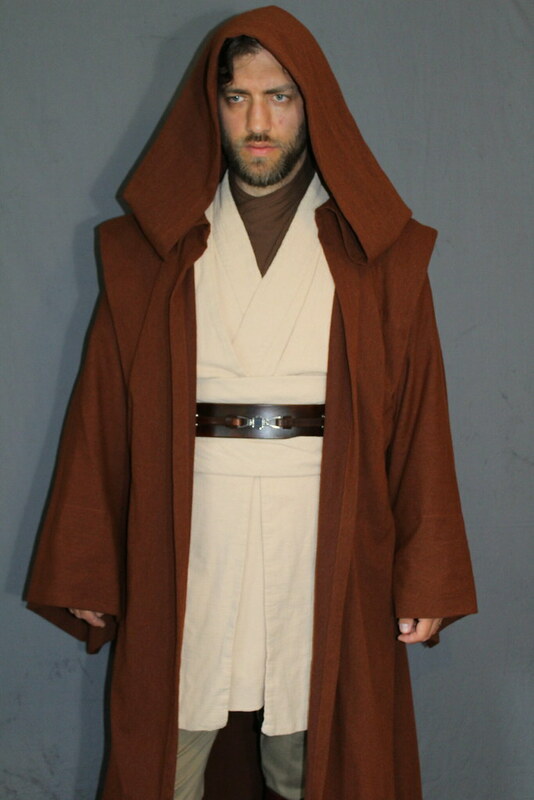 I have had quite a few people ask me where I bought the wool robe fabric since I posted this thread. The material I used has long sold out but I came across this while surfing the web for fabrics. This is nearly identical to what I used. The weight and texture is exactly like the one I had though like mine it will need to be dyed the correct color. 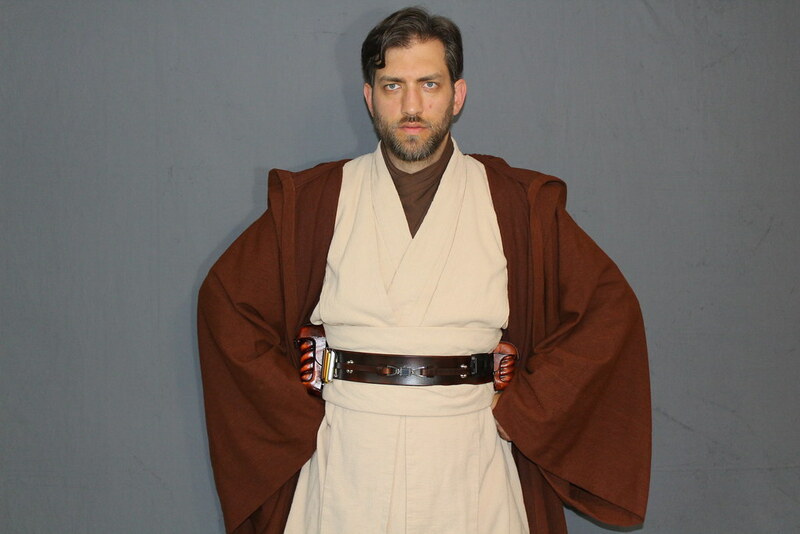 I used 1 bottle of RIT Dark Brown and 6-7 bottles of RIT Cocoa Brown dye to achieve the color with my personal robe. This is on sale too at a great price and there is only 17 yards left so if you are looking for something close to what I had I wouldn't hesitate to buy this up ASAP. The sale ends TODAY, so don't miss out. 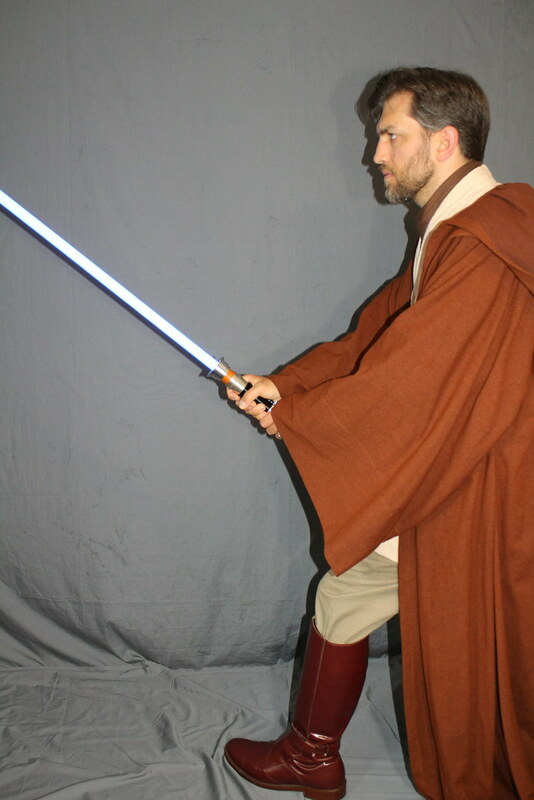 Since I'm on the subject of Prequel Era Jedi costumes I wanted to just say while I am happy to give advice or help for those who are constructing their own I no longer take commissions for these. Thanks and I hope this helps my fellow Obi-Wan ROTS General Kenobis!